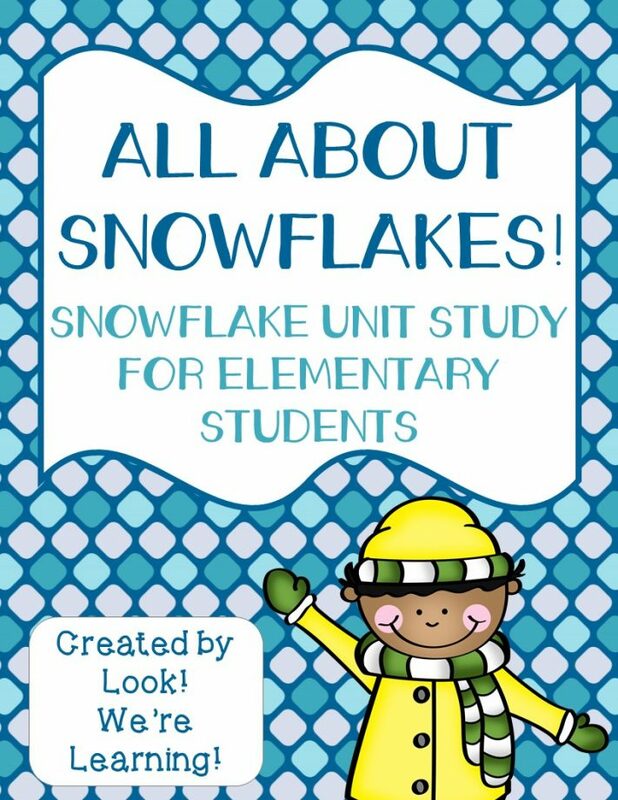 All About Snowflakes Unit Study - Look! We're Learning! Winter is coming! And what better way to get excited for snowy weather than by learning about it with your kids! Since we don’t get a lot of snow down here in the South, we’re always fascinated by snowflakes. The few times we see them are basically national events, at least in our family. 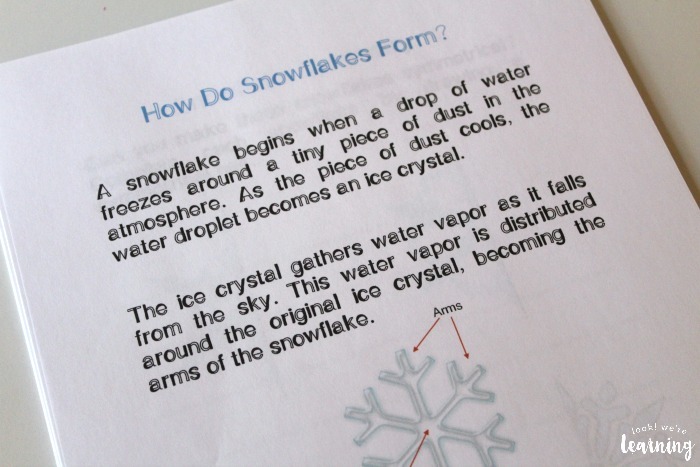 So I thought we’d learn a bit more about how snowflakes form, what makes them special, and toss in some other school subjects while we were at it. 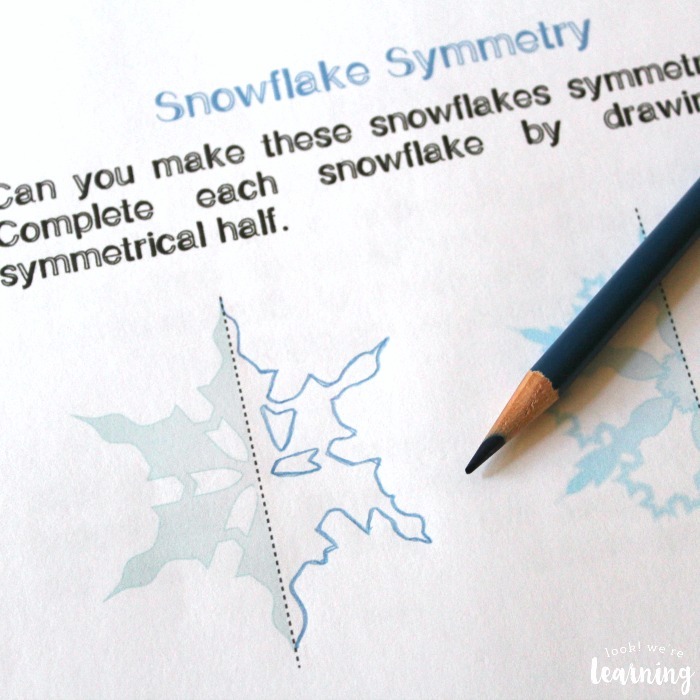 We’ve put together a printable snowflakes unit study featuring math, language, writing, and science activities for kids in grades K-4! Read on to see how to get your copy! 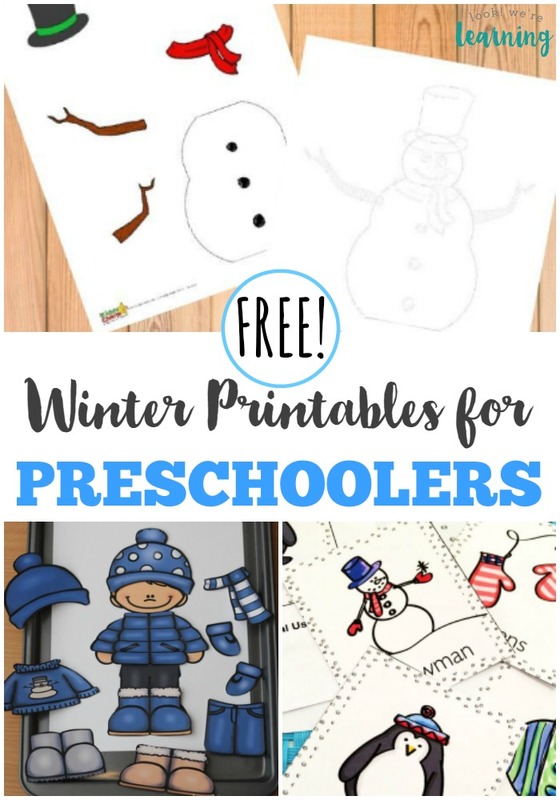 And, if you enjoy this unit, be sure to check out our list of 50 free winter printables for kids! 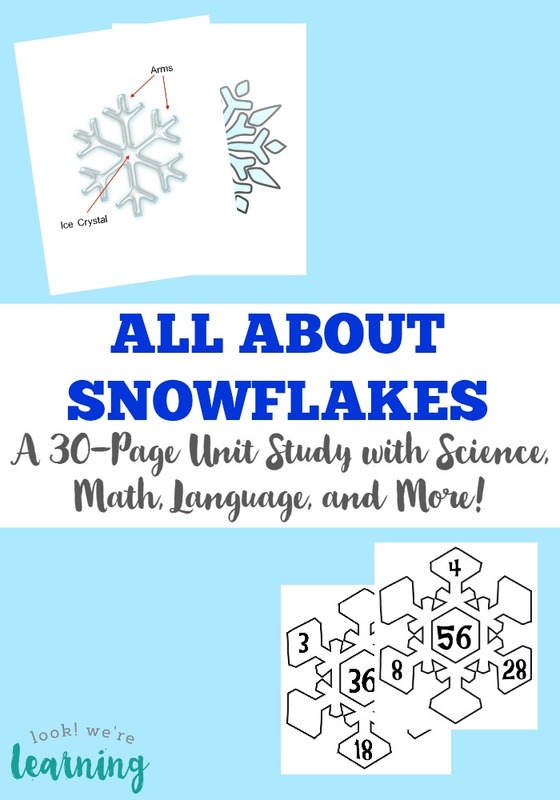 This unit study is a fun, hands-on way to add math, grammar, and science into a winter unit you can do with no prep at all! 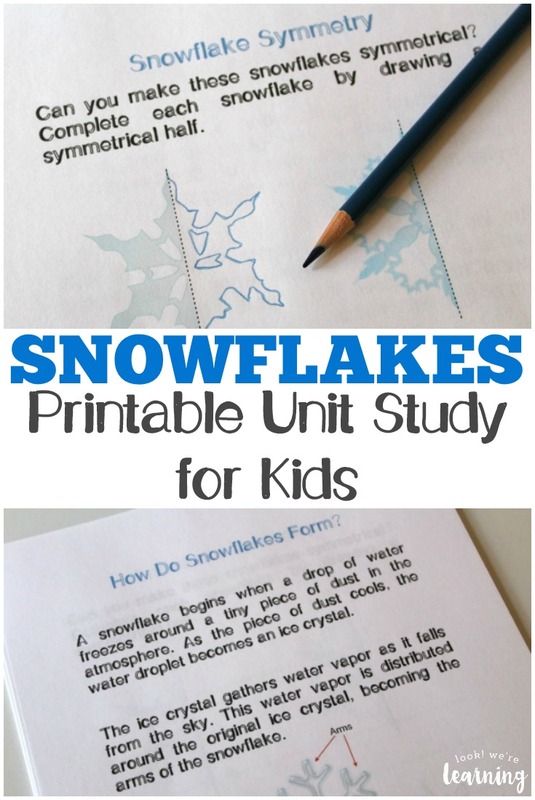 What’s in This Snowflakes Unit Study? 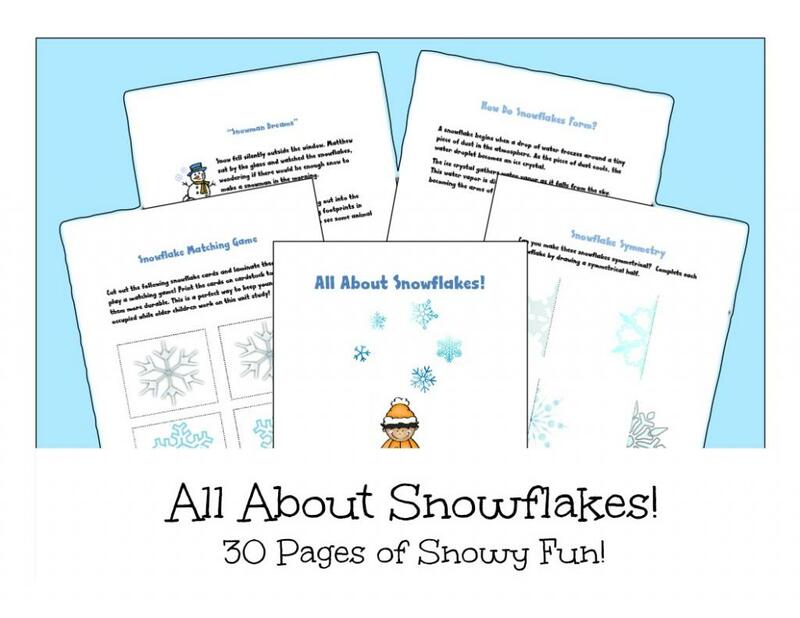 All About Snowflakes is packed with 30 pages of activities! The science, math, and language activities are geared toward kids in grades 1-4. 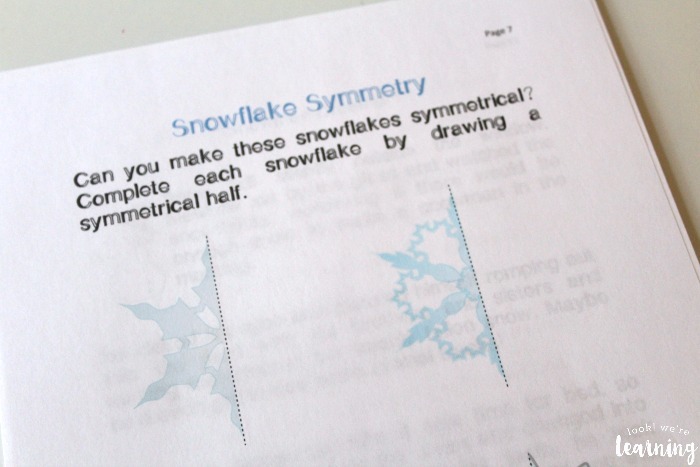 There’s a kid-friendly explanation of how snowflakes form and a biography of Snowflake Bentley, one of the first people to document the differences in individual snowflakes. 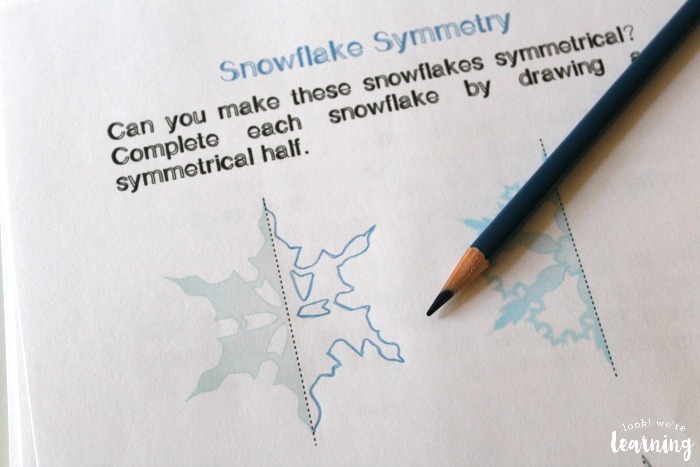 There’s a symmetry activity that challenges kids to make symmetrically accurate snowflakes. Trust me, this is harder than it looks. But kids will enjoy the challenge! 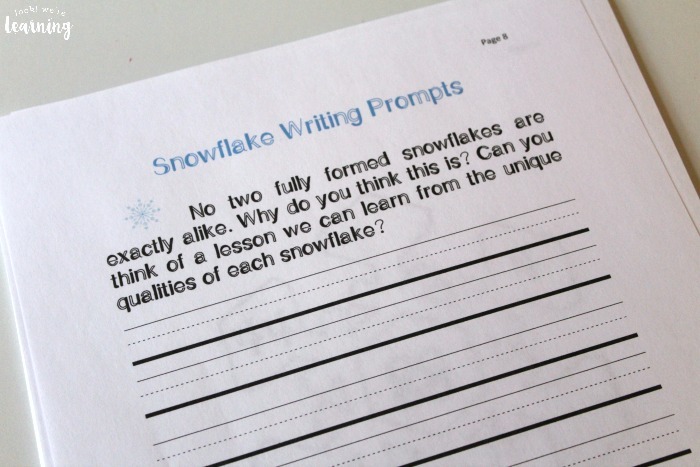 There are writing prompts and grammar exercises for ELA practice. 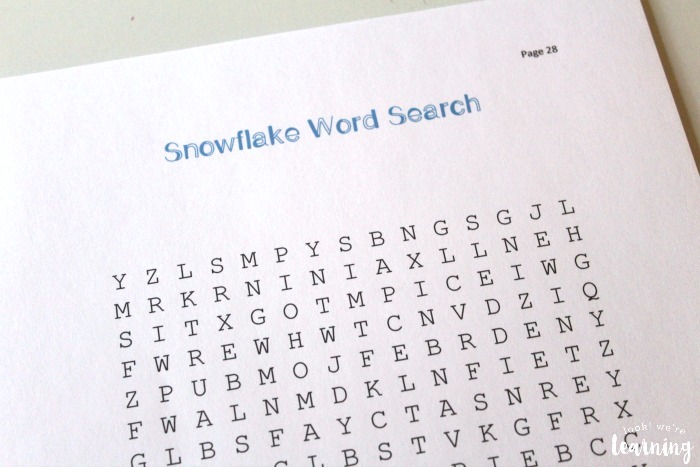 Plus a snowflake word search! 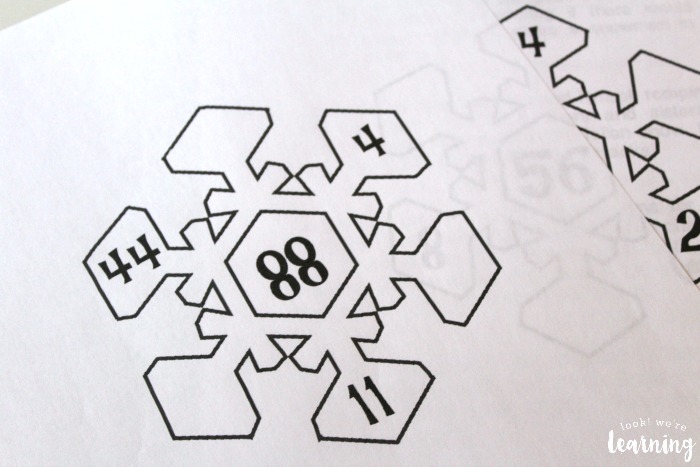 And our printable snowflake math factor activity is included too! 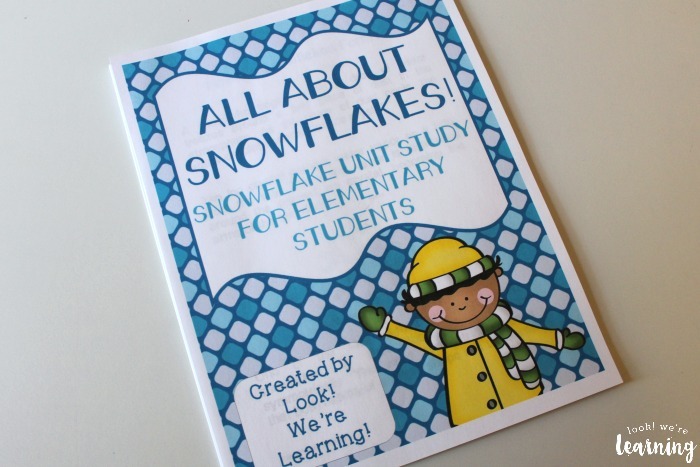 Scroll down to get your copy of our All About Snowflakes Unit Study! 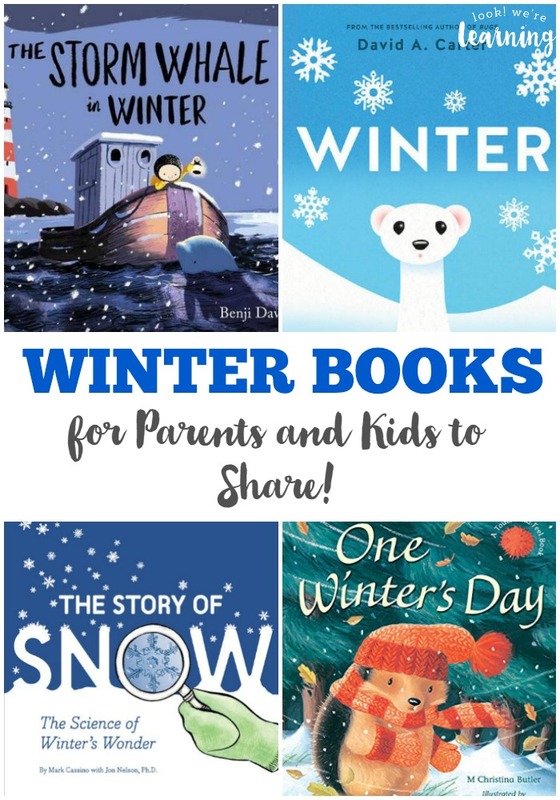 Add to your winter unit with these children’s books about snowflakes! Don’t miss these other winter learning ideas! You can score exclusive learning printables when you sign up for our email newsletter! To get your copy of All About Snowflakes, click the image or the link below to visit our Store! 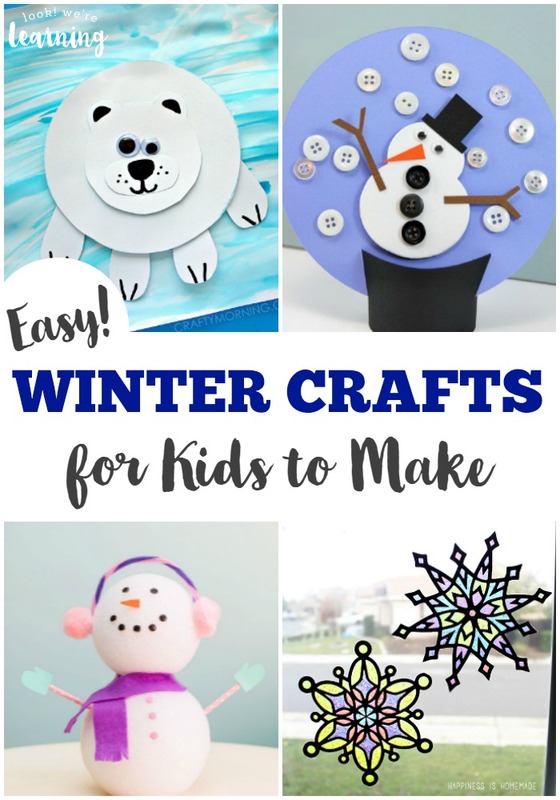 Plus, get more ideas for winter with the kids on my Winter Activities for Kids Pinterest board!